This page summarizes cases raised with India by the Special Rapporteur between May 1, 2011, (when the Special Rapporteur took up his functions) and February 28, 2017 (the date of the last public release of communications). Communications are released to the public once per year. This page also contains observations on these communications and on responses received from India. 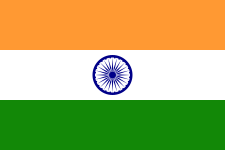 Summaries and communications are published only in the language of submission (in the case of India, English). Joint urgent appeal, 29/7/2011. Case no. IND 14/2011. State Reply: 03/08/2011. Alleged acts of violence and intimidation in the context of forced evictions. Joint urgent appeal, 5/8/2011. Case no. IND 16/2011. State Reply: 08/08/2011. Detention and allegations of acts of intimidation against residents of the villages located on Chhindwada. Joint urgent appeal, 9/9/2011. Case no. IND 19/2011. State Reply: 21/09/2011. Alleged killing, attacks and threats against women human rights defenders. Joint urgent appeal, 17/1/2012. Case no. IND 23/2011. State Reply: None to date. Alleged restrictions of right to freedom of movement. The Special Rapporteur takes notes of the responses of the Government of India in which it acknowledged receipt of his communications. He and urges the authorities to provide detailed answers to all the concerns raised in his communications. The Special Rapporteur remains gravely concerned by allegations of extrajudicial killing of Ms. Shehla Masood, an environmentalist and human rights defender exercising her right to freedom of peaceful assembly and of association. He is gravely concerned about the physical and psychological integrity of people exercising their right to freedom of peaceful assembly and of association and of their relatives in India. He underscores the responsibility of the State to ensure that those exercising their rights to freedom of peaceful assembly and of association are duly protected. A thorough and independent investigation over the aforementioned allegations should be conducted, and those responsible should be held accountable. He requests that the Government to keep him informed about the investigations conducted in relation to the aforementioned case. The Special Rapporteur further underlines that the rights of peaceful assembly and of association are key for individuals espousing minority or dissenting views or beliefs. He urges the authorities to refrain from using force during peaceful demonstrations. He further recommends a thorough and independent investigation regarding any allegations of excessive use of force and of torture and ill treatment, including against women, during peaceful demonstrations; to hold accountable those responsible and to provide full redress to victims. Joint urgent appeal, 13/07/2012. Case no. IND 6/2012. State Replies: 16/07/2012 and 08/11/2012. Allegations of harassment against members of the Peoples Movement Against Nuclear Energy (PMANE) and other human rights defenders. Joint urgent appeal, 28/09/2012. Case no. IND 24/2012. State Reply: None to date. Allegations of new acts of harassment against members of the Peoples Movement Against Nuclear Energy (PMANE) and other human rights defenders. Joint allegation letter, 20/02/2013. Case no. IND 2/2013. State Reply: 21/02/2013. Alleged forced eviction of over 5,000 people living in economically weaker section (EWS) quarters in Koramangala, Bangalore. The Special Rapporteur regrets that the Government of India has not responded to his communication dated 28 September 2012, and takes notes of its responses in which it acknowledged receipt of his other communications. He considers responses to his communications as an important part of the cooperation of Governments with his mandate, and urges the authorities to provide detailed answers to all the concerns raised in his communications. The Special Rapporteur remains seriously concerned by allegations of acts of harassment against members of the Peoples Movement Against Nuclear Energy (PMANE) and other human rights defenders, in particular those promoting and protecting economic, social and cultural rights. He underscores the responsibility of the State to ensure that those exercising their rights to freedom of peaceful assembly and of association are duly protected. A thorough and independent investigation over the aforementioned allegations should be conducted, and those responsible should be held accountable. He requests that the Government to keep him informed about the investigations conducted in relation to the aforementioned case. The Special Rapporteur further underlines that the rights of peaceful assembly and of association are key for individuals espousing minority or dissenting views or beliefs. He urges the authorities to refrain from using force during peaceful demonstrations. He further recommends that a thorough and independent investigation regarding any allegations of excessive use of force and of torture and ill treatment, including against women, during peaceful demonstrations, be conducted; to hold accountable those responsible and to provide full redress to victims. Joint allegation letter, 08/03/2013. Case no. IND 4/2013. State reply: none to date. Alleged killing of a human rights defender and attempted killing of another defender. Allegation letter, 13/03/2013. Case no. IND 5/2013. State reply: none to date. Allegations of attack against a peaceful protestor. Joint allegation letter, 11/06/2013. Case no. IND 7/2013. State reply: none to date. Alleged forced eviction of residents living in Jagatsinghpur District, Odisha, and surrounding areas in India. Joint allegation letter, 04/07/2013. Case no. IND 8/2013. State reply: none to date. Allegations of arbitrary detention and forcible dispersal of women human rights defenders in the context of a peaceful protest in West Bengal. The Special Rapporteur regrets that the Government of India has not responded to any of his communications. He considers responses to his communications as an important part of the cooperation of Governments with his mandate, and urges the authorities to provide detailed answers to all the concerns raised in his communications. The Special Rapporteur remains gravely concerned about the killing of a human rights defender and attempted killing of another defender. He remains also concerned about reports of harassment and intimidation and the arbitrary detention of human rights defenders, including women human rights defenders, participating in peaceful protests. He urges that a thorough and independent investigation regarding the abovementioned incidents be conducted, to hold accountable those responsible and to provide full redress to victims. The Special Rapporteur recommends that the Government put in place an enabling and safe environment that is conducive to the free expression of civil society allowing individuals to exercise their legitimate right to freedom of association without undue hindrances. On 1 October 2013, the Special Rapporteur, jointly with other special procedures mandate holders, issued a press release calling to halt immediately the construction of a mega-steel plant in Odisha in light of serious human rights concerns. Joint allegation letter, 11/06/2013. Case no. OTH 5/2013. Reply: 24/01/2014. Alleged forced eviction of residents living in Jagatsinghpur District, Odisha, and surrounding areas in India. The Special Rapporteur thanks POSCO (India) Private Limited for its response. He notes with interest the drafting of a new Code of Conduct reportedly based on the principle of respect for human rights, which is to enter into force during the first half of 2014. He welcomes the invitation extended by POSCO to various experts to check on the ground whether the company have committed any human rights abuses. He hopes to be able to honour it in the near future. Joint allegation letter, 29/10/2014. Case no: IND 7/2014. State reply: None. Allegations of threats against and surveillance of a human rights defender. Joint allegation letter, 11/04/2014. Case no: IND 3/2014. State reply: None. Allegations of prosecution of a member of an association and a civil rights activist. The Special Rapporteur regrets not having received response to his communications and reiterates that he views replies to his communications are an essential feature of Government cooperation with his mandate. He considers responses to his communications as an important part of the cooperation of Governments with his mandate and urges the authorities to comply with Human Rights Council resolutions 24/5 (2013), 21/16 (2012) and 15/21 (2010). The Special Rapporteur was dismayed to learn that Mr. Mohar Ali Mondal, the District Human Rights Monitor for Banglar Manabadhikar Suraksha Manch (MASUM), a human rights organization based in West Bengal, who was the subject of nine previous communications, faces alleged surveillance by authorities. He considers threats against human rights defenders, including members of associations, a grave source of concern not only to the individuals affected, but more generally for the message it propels to other civil society actors who wish to engage in defence of human rights. In connection with the case of Ms. Setalvad and Mr. Anand, he recalls his concerns over the alleged reprisals against these human rights defenders because of their organizations’ work. He emphasizes that while the State does not have to agree with the opinions and criticism expressed by persons espousing minority or dissenting views or beliefs, it has a positive obligation to ensure the existence of an enabling environment for civil society, including the enjoyment of the right of association, so that it may exist, operate and express itself freely and without fear (A/HRC/20/27, paragraph 63). He urges authorities to implement all necessary measures to protect people exercising their right to freedom of association and peaceful assembly against threats, violence, intimidation or reprisals. The Special Rapporteur reminds the Government of his willingness to undertake a country visit to India, as indicated by letters on 26 September 2014. He trusts that such a visit would allow him to examine first-hand issues relating to his mandate, identify good practices and formulate pertinent recommendations to relevant stakeholders. He looks forward to receiving a positive reply at the earliest possible opportunity. He reiterates that Human Rights Council resolution 15/21, which established his mandate, and 24/5, which renewed it for an additional period of three years, both urge the States to consider favourably his requests for visits. Joint allegation letter, 04/08/2015. Case no. IND 6/2015. State reply: 23/09/2015. Allegations concerning the unfounded investigation and charges against two human rights defenders in relation to their legitimate human rights work, as well as measures restricting access to their organizations’ funding. Joint allegation letter, 18/06/2015. Case no. IND 7/2015. State reply: 17/08/2015. Alleged arbitrary freezing of Greenpeace India’s bank accounts. Joint urgent appeal, 12/08/2015. Case no. IND 8/2015. State reply: None. Alleged arbitrary arrest and detention of two women human rights defenders. Joint allegation letter, 11/09/2015. Case no. IND 10/2015. State reply: 23/09/2015. Allegations of human rights violations committed by law enforcement authorities in Manipur. The Special Rapporteur thanks the Government of India for its responses to the communications of 4 August 2015 (IND 6/2015) and 18 June 2015 (IND 7/2015). He takes of the Government’s acknowledgement of the letter dated 11 September 2015 (IND 10/2015); and he regrets that his communication dated 12 August 2015 is left unanswered. He urges the Government to provide a detailed response to both communications without delay. The Special Rapporteur reiterates his concern about the alleged arbitrary arrest and detention of Ms. Mallik and Ms. Gond, which appear to be linked to their legitimate work to protect the environment and the human rights of tribal and indigenous forest communities in Sonbhadra, Uttar Pradesh, and, in particular, their recent involvement in non-violent protests in the district. Similarly, he reiterates concern about the arbitrary detention, intimidation and harassment of human rights defenders in the Manipur region and at the apparent role of the law enforcement authorities in these acts. Further concern is reiterated that the charges brought against them appear to be an attempt to dissuade them in the pursuance of their legitimate and peaceful human rights activities and exercising their respective rights to freedom of expression, peaceful assembly and association, including advancing the rights of indigenous peoples, silencing criticism of activities by law enforcement authorities in Manipur, and highlighting alleged rights violations committed under the auspices of the Armed Forces Special Powers Act. The Special Rapporteur remains concerned about the targeting of Ms. Setalvad and Mr. Anand, as well as their organizations, as a result of their peaceful and legitimate human rights work, including the legal assistance provided by Citizens for Justice and Peace in Ms. Jafri’s ongoing petition. He urges the authorities to cease such targeting. In this connection, he reminds the Government of India of its positive obligation to ensure that civil society, including human rights defenders, can carry out their legitimate work free in a safe and enabling environment without fear of threats or acts of intimidation, harassment or assassination of any sort. The Special Rapporteur expresses once again concern at the restrictions imposed on Greenpeace India, which appear to be based solely on its activities in promotion of human rights, including a safe, clean environment. More generally, serious concern is expressed at the apparent increasing limitation placed on associations, including limitations on their access to foreign funding and the undue cancellation of their registration on the basis of burdensome administrative requirements imposed to those organizations in receipt of foreign funds. In this regard, the Special Rapporteur believes that the Foreign Contribution Regulation Act 2010 and Foreign Contribution Regulation Rules 2011 fail to comply with international human rights norms and standards as they impose “a total ban on associations’ access to foreign funding on vaguely defined grounds for a broad purpose not included in the International Covenant on Civil and Political Rights’ enumerated list of legitimate aims”. The Special Rapporteur reminds the Government of India of his pending requests to visit the country, as indicated by letters on 26 September 2014. He trusts that such a visit would allow him to examine first-hand issues relating to his mandate, identify good practices and formulate pertinent recommendations to relevant stakeholders. He looks forward to receiving a positive reply at the earliest possible opportunity. He reiterates that Human Rights Council resolution 15/21, which established his mandate, and 24/5, which renewed it for an additional period of three years, both call upon States to consider favourably his requests for visits. Joint allegation letter, 28/04/2016 Case no. IND 1/2016 State reply: None. Alleged harassment, attacks and threats against five women human rights defenders. Joint allegation letter, 10/06/2016 Case no. IND 2/2016 State reply: None. Information received concerning the alleged inspection and consequent suspension of the Foreign Contribution (Regulation) Act (FCRA) registration of Lawyers Collective for six months and the limiting effect this measure has on the rights to freedom of expression and association. Joint allegation letter, 28/07/2016 Case no. IND 5/2016 State reply: 27/09/2016 Information received concerning the alleged death of over 30 persons and injuries to hundreds in the state of Kashmir between 8 and 14 July 2016. Joint urgent appeal, 11/10/2016 Case no. IND 9/2016 State reply: None. Information received concerning allegations of arbitrary arrest, detention, intimidation and a travel ban against Mr. Khurram Parvez. Joint allegation letter, 21/12/2016 Case no. IND 10/2016 State reply: None. Information received concerning the order to cancel registration of Lawyers Collective to receive foreign contribution under the Foreign Contribution (Regulation) Act (FCRA). Joint urgent appeal, 31/01/2017 Case no. IND 2/2017 State reply: None. Information received concerning the arrest and detention of seven human rights defenders, Mr. Chikkudu Prabhakar, Mr. Bhalla Ravindranath, Mr. Durga Prasad, Mr Duddu Prabhakar, Mr. Rajendra Prasad, Mr. Nazeer and Mr. Ramananda Lakshme. The Special Rapporteur regrets that out of the six communications sent in the reporting period, the Government of India has so far only responded to one, despite the serious nature of the allegations. He reiterates that he considers responses to his communications an essential component of implementing his mandate and urges the Government to submit substantive responses to all the outstanding communications. The increasing limitations placed on the legitimate exercise of freedom of expression and opinion, freedom of association and assembly in India during the reporting period are of significant concern to the Special Rapporteur. The Special Rapporteur is further concerned at the increasingly prohibitive and dangerous environment in which human rights defenders and civil society organizations are forced to operate, increasingly facing arbitrary arrest, detention, harassment, attacks, threats and travel bans for the sole reason of pursuing their legitimate activities in the field of human rights. The Special Rapporteur also wishes to reiterate his earlier call on the Government of India to repeal the Foreign Contribution Regulation Act (FCRA), which is been increasingly used to obstruct civil society’s access to foreign funding, and which fails to comply with international human rights norms and standards. These concerns were particularly validated in the context of the decision by the Indian Ministry of Home Affairs to suspend for six months the registration of the non-governmental organization Lawyers Collective, under the FCRA. The suspension was imposed on the basis of allegations that its founders, human rights lawyers Indira Jaising and Anand Grover, violated the act provisions by using foreign funding for purposes other than intended. It is particularly alarming that the suspension was seemingly politically motivated and was aimed at intimidating, delegitimising and silencing Lawyers Collective for their litigation and criticism of the Government’s policies. The Special Rapporteur continues to be worried about the situation of women human rights defenders in India and the often hostile environment they are forced to operate in. The case of three women human rights defenders, Ms. Malini Subramanium, Ms. Bela Bhatia and Ms. Soni Sori, and two women human rights lawyers, Ms. Shalini Gera, Ms. Isha Khandelwal, who promote women’s rights, including assistance to women who have suffered sexual violence, is indicative of this pattern, given that they experienced mob violence, attacks and threats in relation to their legitimate human rights work. The Special Rapporteur urges the Government to publicly condemn violence against women human rights defenders and to ensure their physical and psychological integrity, along with that of their families. The Special Rapporteur remains concerned about the alleged death of over 30 persons and injuries to hundreds in the state of Kashmir between 8 and 14 July 2016, and the excessive use of force b security forces deployed in response to the protests in question, as well as the indiscriminate shooting of live ammunition and pellets into the crowd. The Special Rapporteur takes note of the detailed response provided by the Government to this communication, including the statement that the protests in question were intentionally violent and aimed at destroying property, and that some of the violence was pre-planned and orchestrated against security force personnel. Notwithstanding the above, the Special Rapporteur does not share the view of the Government that SF personnel displayed absolute restraint and used minimal violence and recalls the standards contained in the Joint Compilation of Practical Recommendations for the Proper Management of Assemblies (A/HRC/31/66), including the recommendation that States should ensure that law enforcement officials have the equipment, training and instructions necessary to police assemblies wherever possible without recourse to any use of force. The Special Rapporteur also notes that the issue of the use of pellet guns has been widely debated in the Indian Parliament, and that the Government has constituted an Expert Committee to suggest other possible alternatives to the pellet gun for non-lethal crowd control.